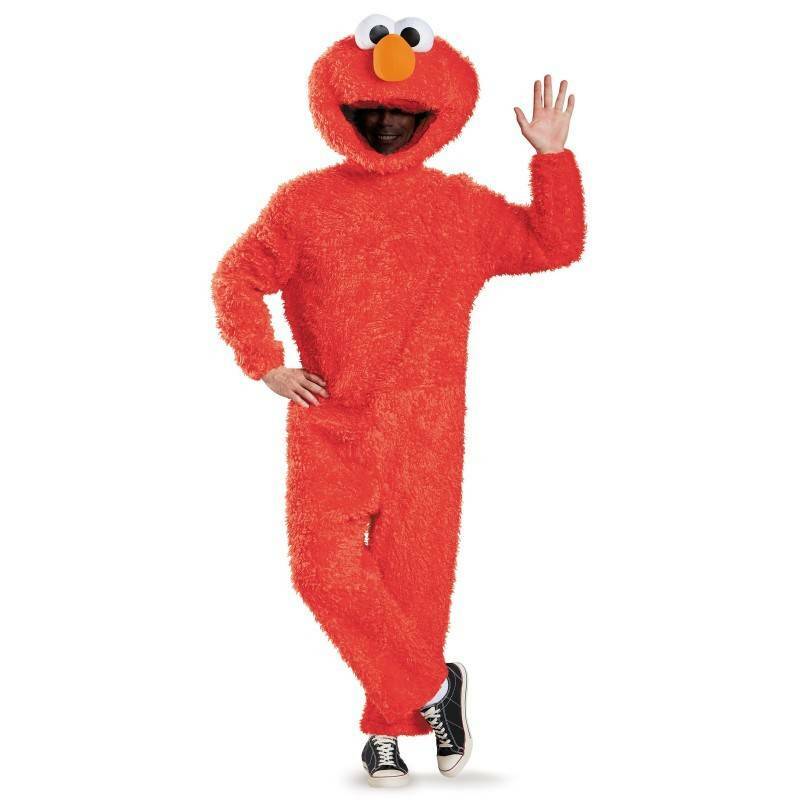 Officially Licensed Adult Elmo Mascot Costume.Finally availalbe Sesame Street's Elmo!Adult Size 42-46Perfect for dressing up for your children's birthday party and have Elmo as a guest! The Elmo character has been longtime favorite of children. Now you can finally be Elmo for Halloween or dress up as Elmo for your children's party. You look through the dark mesh screen in Elmo's mouth. All you will need are Red Gloves, which we do carry. And a pair of sneakers or red socks to goo over your shoes.